At this point, Stremio has already gained fairly large number of useful reviews – so we want to share with you what the others think about our service. Don’t get us wrong – we don’t want to sound smug. The thing is, it is your feedback that keeps us going (together with our company belief that we provide a meaningful service that really helps your life). 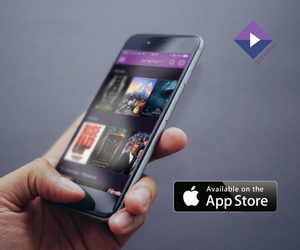 By listening to what you, our users, have to say, we gather valuable feedback that helps us improve our apps and offer you a flawless video-on-demand (VOD) experience. We are here to serve and entertain, and this is why we greatly appreciate your reviews and comments. Without further due, here is what the others say about Stremio. Thanks for that note, Best Reviews! We’d like to also add to that quote Kodi and Plex. “So far so good, but what makes Stremio special? The add-on system. 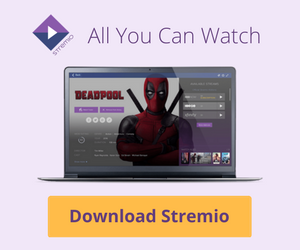 […] All in all, Stremio deserves the praise for bringing together all possible media sources under one roof,” continues Best Reviews – and while we agree that our add-ons system is awesome, a fair warning is due here: use our add-ons wisely and be careful when using unofficial, 3rd party add-ons! Kind words indeed, and TorrentFreak gets it right: we are here to impress and deliver quality VOD experience to each and every one of our users. We do indeed intend to grow larger and larger, making sure that Stremio is the only video content app you would ever need. Katherine Pendrill from TrendHunter then goes on to note that “in addition to helping you access your favorite content with nothing more than a single click, Stremio further elevates the streaming experience through a feature called The Board”. Popcorn Time is a major competitor on the VOD market and such words make our hearts warm (despite the fact that the comparison is not 100% accurate as we do not offer access to illegal/pirated content like Popcorn Time does). Our app is a recommended download on MajorGeeks.com, and we think this is pretty great! Our app is quite powerful, indeed, and we continuously work on making it even better. Don’t have Stremio yet? Go ahead and download it straight away!